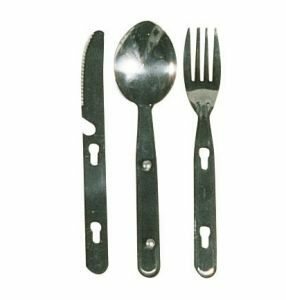 Stainless steel knife fork and spoon set with bottle opener. The UK delivery charge if you buy one of these items is £3.50. Delivery charges for multiple purchases are shown with your Basket.